Smokers Are Drug Addicts Too! Typically, people who want to give up smoking have good reasons to back their decision. It could be that smoking is becoming too expensive for you. It might be that you fear health complications, perceived or real. Perhaps a smoking relative or friend of yours recently contracted or died of cancer. If you are pregnant, you may want to avoid damaging the health of your unborn child. If you are a partner of a non-smoker, you may want to quit out of respect for them. Whatever the reasons you want to quit, and no matter how much you believe in them, you still have to go through the motions of actually quitting and staying quit. Easier said than done, but millions before you have succeeded and so can you! My humble opinion is that reasons alone don’t constitute a quit plan. Aside from knowing that you want to quit, you also need to know how to quit. There are lots of tools and techniques available to help with the basics, such as whether or not you want to use Nicotine Replacement Therapy (NRT) or go for it ‘cold-turkey’, and resources which talk about practical matters such as how to avoid situations where you may be tempted to smoke, or how to manage your cravings. However, I haven’t seen much in the way of resources that address the broader picture of how to address the psychological aspects of tobacco addiction in a practical a manner. The fact is that although nicotine is a powerful substance, its immediate effects are fairly limited in time. 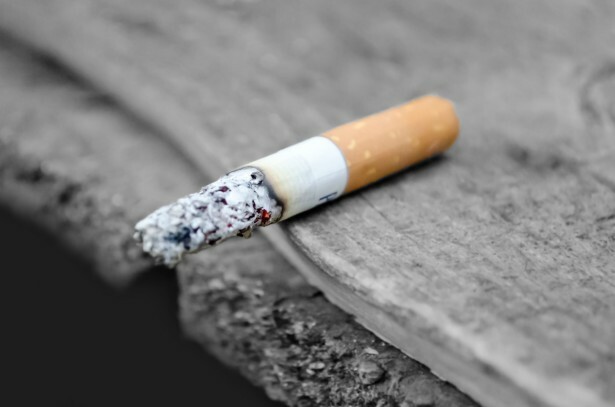 The longer-term psychological effects of tobacco addiction are far more reaching. The more time that has passed since you started smoking, the more ingrained the habit has become. For many people, smoking is an integral part of their life. For some, it is a part of their identity; “I am a smoker.” they say. Simply getting rid of the physical addiction to nicotine, holding on to a list of reasons to quit and hoping for the best doesn’t seem to me to be the most appropriate way to guarantee success. The individual who wants to quit also has to unlearn a lot of thoughts, feelings, and behaviors that have built up over time. So, how do we get more people to quit and stay quit? I believe the answer is through education, perhaps with more books focusing on what happens after the initial three-day nicotine depletion, and how to manage day-to-day after that. This could be augmented by engaging more with qualified psychologists who have a clear understanding of substance abuse and how smokers can reintegrate into society as a non-smoker. Naturally, this is not necessary for every individual, but if there was a programmatic approach to ‘quit smoking’ counseling at an affordable price I’m sure the success rate could be much greater. Previous Article Create Your Own Eureka Moment!